Happy Summer Everybody! We hope it was a fun and happy one. Time to check in again and show you how your generosity and support help us save so many lives all year. We thank our monthly donors, and all our donors, and we thank everyone who donated to Elayne’s Birthday Wish this August (It’s not too late). We hope you enjoy all the happy stories YOU made possible. September 1st means it’s time for our CA Peeps to re-enroll in the Ralph’s Markets Community Contributions Program for Tails of Joy. This year it’s easier than ever, and we are thanking you with our best selling “Love Laugh Woof” double charm, absolutely FREE! when you sign up. Find out how at the end of this newsletter. Someone decided to throw six six-week-old puppies away. A volunteer for Vidor Animal Control in Texas found the puppies, then searched for a rescue or shelter who could take them in. The Houston Humane Society agreed to take them in if someone could pay for spay/neuter, vaccines, etc. The volunteer, Hannah, then found us, and we sponsored the puppies. Sadly, two of the puppies died of parvo, but the rest are healthy and happy. As an added smile, we sponsored them in honor of “Pay It Forward For Don Shepherd Day”, which our Peep Kelley Lynn created to honor her animal – loving, deceased husband’s memory. And that’s what you call networking. The good news about the flooding in Louisiana, if that can be said, is that unlike during Katrina, this time the state understood how much people’s pets, and animals in shelters, meant to everyone. This time instead of abandoning pets and saving only people, there was/is a large concerted effort to also save the animals of Louisiana. Tails of Joy made an immediate Little Guy Grant to the Denham Springs Animal Shelter, and continues to help all the groups we can, who are doing the hands on rescue work there. We are always happy to help Dogs On the Move – Pawsitive4Life. All year long, they work to get dogs out of overcrowded MDAS shelter in Miami, and then several times a year, they drive a ready group to greener pastures across the country, where they can get adopted. Expenses include pull fees and boarding until a transport leaves, all medical care necessary before they go, truck and travel and people expenses in both directions. In August, leaving Miami’s (MDAS) overcrowded shelters for better prospects across the country: Ellie, Goldie, Casper, Juda, Davie, Grayson, Poncho, Rex, Laika, Lilly, Buster, Nala, and Deb. We love when people are so happy with their Tails of Joy jewelry orders, they post pix all over the internet, and we find them. Another happy customer. Remember, 100% of all sales goes to animal rescue. Shop here. Gus’s front right leg was shattered by a gunshot wound – yes, from being on someone else’s property 🙁 Owners left him there to die, some KIDS found him & brought him to the shelter. Working as hard as I can on our page but we are against the clock on TWO issues – dog stayed in shelter too long w/o better Medical exam, and is developing a secondary infection, and our ortho surgeon, first choice & best price, is leaving Wednesday night for a conference. A mama and eight injured/sick puppies from a criminal investigation. Rocky – a pit mix pup in medical boarding. Blue Heeler pups dropped out of truck. From Sara at DASH: “Thank you so much for all you do to help us save more dogs. TOJ is the difference-maker for so many lives here. Whether it helps one major medical expense get covered or a litter of puppies get saved the donation means freeing up other funds or helping a dog become healthy, thus facilitating room for more dogs, more adoptions, more lives saved. All of this is invaluable and truly rescues Human Hearts throughout all our cooperative work. Deja belongs to a great and accomplished long time rescuer named Inga, and Deja needed a lot of tests and medical care, so we helped! The W ildlife Waystation is celebrating 40 years of providing rescue, healing and safety for animals in need. Since 1976, WW has helped more than 76,000 abused, abandoned, orphaned, and injured animals. These include Siberian and Bengal tigers, lions, leopards, ligers, jaguars, mountain lions, wolves, coyotes, camels, primates, hyenas, bears, foxes, reptiles, exotic birds, birds of prey, and more. They house over 400 wild and exotic animals on a refuge in the Angeles National Forest. When the fires across southern California got too close this summer, they were forced to evacuate over 300 animals. That’s when TOJ made our first donation of this year. Then the Wildlife Waystation held a raffle to raise funds: Win a tour and have dinner at their magical property, with Shelby and Tommy Chong. Wanting to donate more, we bought some tickets. We were one of the winners, and a great time was had by all. We highly recommend you thinking of the Wildlife Waystation for special events you may have coming up, for your yearly giving, for anything that will help them provide millions of dollars a year just in food costs for these huge mouths they must feed every day. Volunteer!!! You can help with these amazing animals every weekend! Special thanks to Rowdy the Capuchin monkey for picking our winning ticket! After dinner, Tails of Joy was pleased to present the WW founder, Martine Colette, with a Little Guy Grant. Valley Cats opened the best “store” in a West Valley, CA, mall. They built and designed and configured a cat fantasy at their own expense, to get more cats adopted by the public. Then they lost their lease and their beautiful place. Well, they found a new place to meet the public, and Tails of Joy was happy to donate to that too. If you’re in LA, the new Grand Opening is October 9th. Adrianne’s Angels had 10 sick kittens who needed to be cleared of infection, then spayed/neutered. We helped get it done. ACT’s vision is a community where dogs and cats are safe and treated with respect and value. ACT offers low cost ways to accomplish this vision. The results are not only good for the community, but also for the owners and their pets. Spay and neuter; it’s the choice that saves lives. ACT’s mission is to end euthanasia as a response to pet overpopulation by providing affordable and high quality spay and neuter surgeries. ACT also offer other affordable wellness services in order to keep pets in their existing homes. Our own FB Peep Margie Geeb, who feeds, cares for, traps feral cats in her neighborhood, one at a time, and takes them to the vet to be spayed, neutered, vaccinated, and treated for whatever they need. We pay the vet directly every time. Margie embodies what we do; help the smallest neediest rescue groups and people making a difference, who prove that one person can do so much. Though disabled and without her own transportation, here is a woman who has spent her life making life better for cats on the street. We made spay/neuter donations for many, many, many individual cases across the country. So far My Way Home Dog Rescue has saved 207 dogs from shelters in five years. They always make sure to include seniors, whom we love, and special needs dogs, whom we also love. We were happy to help a bit. We are always happy to help Linda’s fantastic organization a few times a quarter. She does so much for the large, misunderstood breeds, like American Bulldogs and Pitties, and can always use your help. Only for the animals would Bill and I have driven through the California wildfires to Lancaster, for a fundraiser for Linda Blair World Heart Foundation, at the Lancaster Moose Lodge. “DONATIONS NEEDED TO HELP SHELTER ANIMALS OVER 4TH OF JULY WEEKEND! LA Animal Services (LA City Shelters) is asking for foster homes to step up and foster dogs & cats for 4 days over the 4th of July weekend, to make room for the influx of animals to be impounded due to being spooked by fireworks. Due to shelters already being overcrowded, when these new animals come in, animals who have been there for a while have to be killed to make enough room! We made a Little Guy Grant. Sometimes you get overwhelmed with too many animals at once. And sometimes you’re saving up to have a real shelter. Little Guy Grant made. We are always happy to help this wonderful organization as often as we can. Big mouths to feed mean big money needed. Always happy to help our friend Pat Bonham’s excellent rescue organization. They find abandoned “border” dogs in awful shape, and do the best work in bringing them back to life and hope. A car hit this little dog in Dallas, TX. Our fb rescue Peep, Louann Smith, got the call and got to the scene, then emailed TOJ for money to get him to a vet right away. We sent it and Flynt had his broken leg set and his broken ribs kissed all better. Sometimes rescuers need help too. So we helped these two pugs get the medical attention they need while their mom gets back on her feet. We love helping this excellent shelter every time we get the chance. If you’re nearby in PA, they have a nice event coming up on October 21st. We are always happy to donate to Critter Camp for all the great work they do. And now, you can buy this great new book written by Beth Randall, who runs Critter Camp. Proceeds benefit the animals, and it’s a great book for giving. Crumb: The Secret of the Riddle by Carol Worthey. Paws Ranch Rescue had a big auction in August, and we were happy to send a lot of goodies to help them raise funds; from our great Tails of Joy bling to hand made cat/dogs purses by our own Judy Isaacs. In 2015 we placed 387 dogs and 105 cats in their forever homes! We took in 394 dogs and 86 cats. We currently have 313 dogs and 76 cats at the Sanctuary. It’s Ralph’s Markets Sign-Up Time again in Southern California!! Starting September 1st 2016, we ask our CA Peeps to again link their Ralph’s Rewards cards to Tails of Joy. It’s part of Ralph’s Community Contribution Program, and we want to be your chosen charity. That way, every time YOU shop, Ralph’s donates to US at NO cost to you. This is a very important part of our yearly budget, so please sign up today! Even if you’ve signed up before, you must sign up again every year, starting each September 1st. Sign up now and you’ll be enrolled for an entire year. This year to thank you, we will send you our best selling “Love Laugh Woof” double charm, absolutely FREE! A $20 value, free, including free shipping. You need a Ralph’s card, linked to your phone number. Call 800-443-4438. Wait on hold forever. Do NOT hang up darn it! Wait! When someone finally answers, say you want to link your Ralph’s card to a charity, Tails of Joy. She/he will ask for either your Ralph’s card number, or your phone number that it is linked to. She/he will then ask the ID Number of the organization (Tails of Joy) you are linking to. Our ID # is 83531. She/he will say, “You’re enrolled”. That’s it! Send a phone pic of your first receipt bottom (it will say “Benefitting Tails of Joy” at the bottom) to elayne@tailsofjoy.net and I will personally send your charm out to you. Get three more people to sign up, and we will not only send them our double charm, YOU will be able to choose ANY bracelet or tag/charm from our website that you would like, all absolutely free, including free shipping. We need this. Thank you very much in advance. How We Can Help You: Get Your Money Back! So many Facebook and Twitter peeps have been having financial pet emergencies and coming to Tails of Joy for help. We always do what we can, but the first thing we do is this: If you need financial help for your pet, we refund every donation you ever made to us for starters. So in essence, you can use us as your pet savings account. We’ve been here for fifteen years and we will be here if you ever need help for your animal in the future. The more you help others, the more help there will be for your pet if the need ever arises. How You Can Help Us for Free!! Remember, if you shop on Amazon, please start at smile.amazon.com and choose Tails of Joy, Studio City, as your charity, and every time you shop we will get a tiny donation from Amazon. Bookmark it (click here) and you won’t have to think about it again, and it helps us save lives. This costs you nothing extra — you shop and Amazon makes the donation. Thank you Rory Murray, friend, artist, and fellow rescuer. We can only save animals and make lives better for people and pets with your help. We also want to truly thank our monthly donors, who make it possible for us to plan ahead and keep going. We love you. If everyone signed up for one, five or ten dollars a month, we’d be able to save and plan and save and plan and… well, you get the idea. Donate! Nothing is too small. A one dollar donation from a few thousand people is a few thousand dollars. 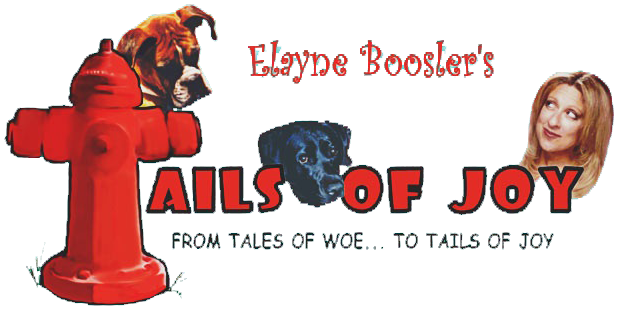 Shop Tails of Joy first. We’re always listing new items, and 100% of the price goes to rescue animals. Again, thank you so much for loving, and being kind to, animals. Wishing you and yours a happy and wonderful autumn. “Weiner is coming..” -Game of Bones.